Chances are your curtains are an integral part of the interior design you have chosen, as such you would like to keep them looking clean and fresh as much as possible. 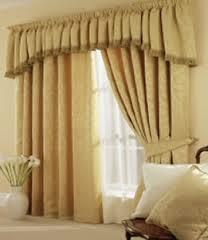 Problem with curtains is that they are usually made of delicate, sensitive fabrics and materials which will not withstand conventional machine washing or other such aggressive cleaning methods. The proper way to care and maintain your curtains clean and sanitised is to use our professional curtain cleaning service in Reading RG1. This might sound a little clichéd, but in fact our effective yet sparing cleaning techniques are the proven way to clean any type of curtain to a perfect finish without damaging or altering its fabric properties, dimensions, colour fastness etc. Our advice as professional cleaners is to refrain from using machine and conventional cleaning methods on your curtains as these are more than likely to cause damage such as fading, tearing, discolouration etc. All cleaning procedures take place on site, swiftly and efficiently. 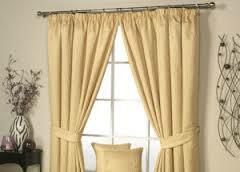 Customers need to be aware that sunlight damage to the curtain i.e. fading and brittleness, is considered permanent, and cannot be reversed by professional cleaning methods. Both methods are very effective and will not damage or alter the curtain and its visual and physical properties in any way or form. Subjecting your curtains to professional cleaning on a regular basis will keep them looking better for longer thus prolong their life.